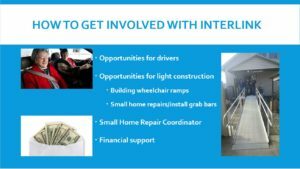 Interlink Presentation – Interlink, Inc.
Would you like to know more about Interlink, who we are, what we do, and how you can help? Our executive director, Deb Snyder, would love to give your group, office, or club members a presentation explaining our mission and ways the community can help us accomplish it. 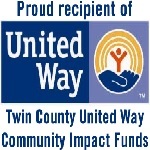 Call our office at 509.751.9143 or email at director@interlink-volunteers.org for more information. Next StoryLCSC Engineering Students are Awesome! My mom just moved into Kinsale place and her neighbor mentioned you provide rides. I would like my mom to know about services. Could you give me more information about providing seniors transportation to places such as the grocery store? Alicia, we schedule volunteer drivers to provide rides for elders and those with disabilities. To provide adequate time for contacting and scheduling drivers, clients must request a ride at least 2 office days in advance. Because our office is closed on Friday, Monday and Tuesday rides need to be requested by Wednesday. For more information, please call our transportation coordinator, Alisha Walker, at 509.751.9143. I turned 70 in may and have emphysema. I have ,trouble breathing and ti re easily. Had to stop working so I am very poor. Friends and family too busy. Can you help?